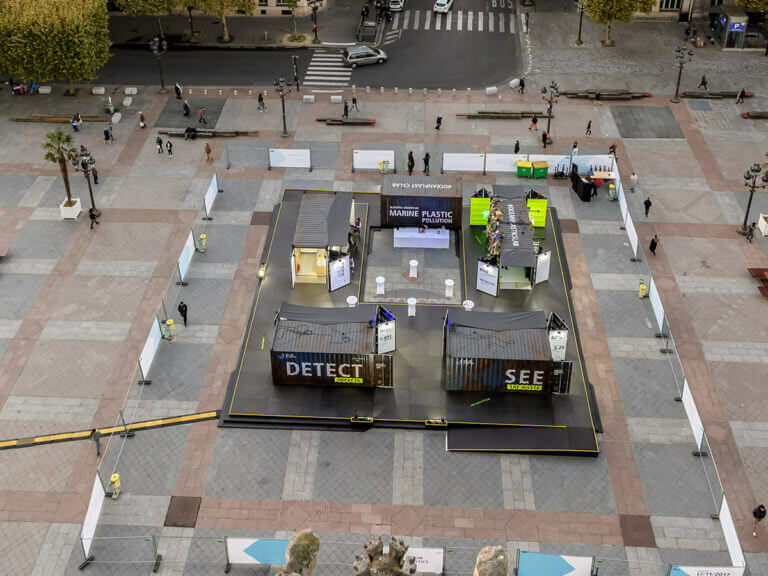 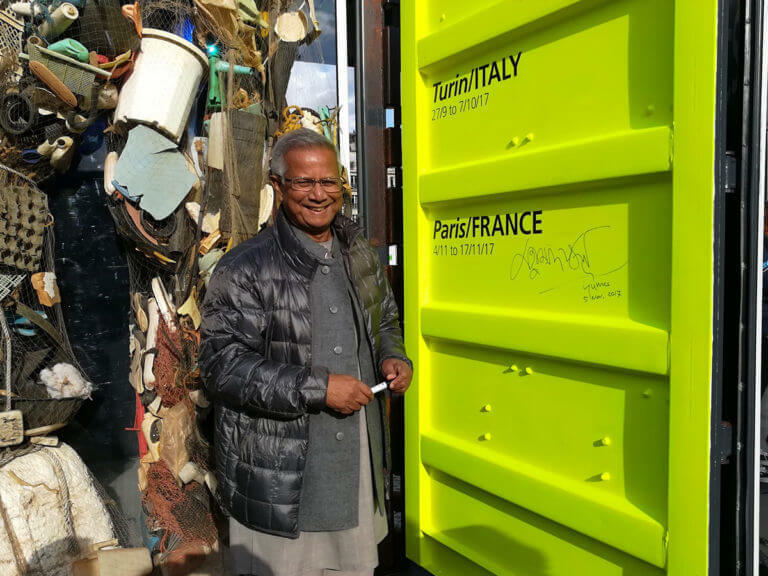 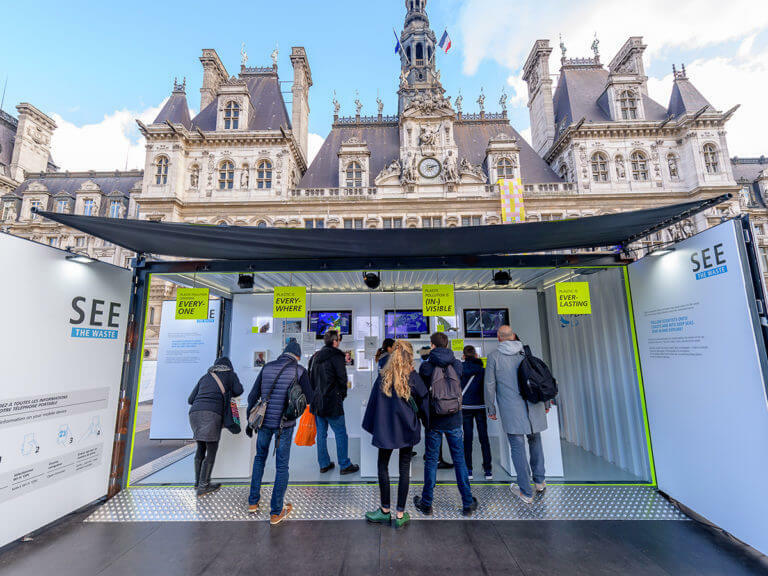 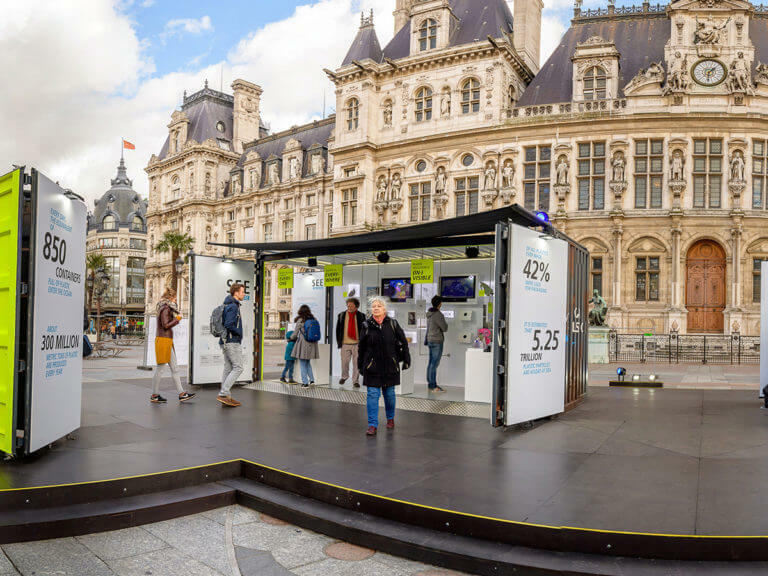 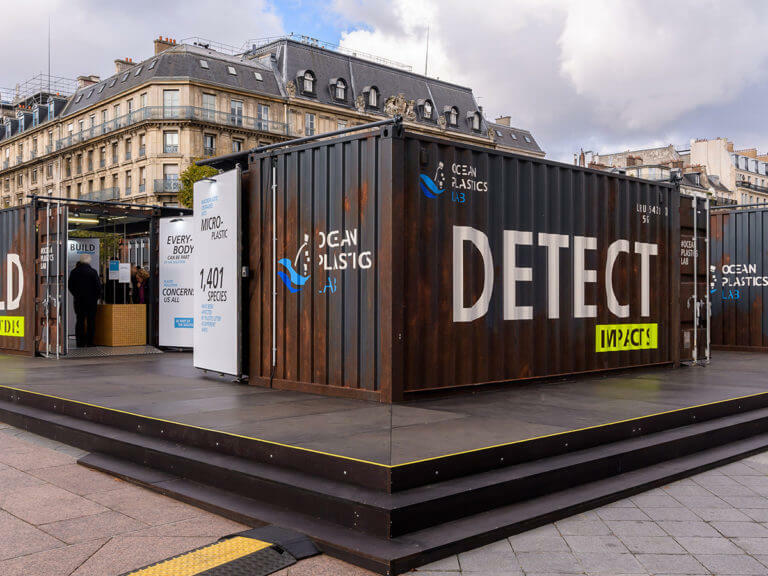 From 4 to 17 November 2017 the Ocean Plastics Lab was shown on the Place de l’Hôtel de Ville in front of the town hall in Paris. 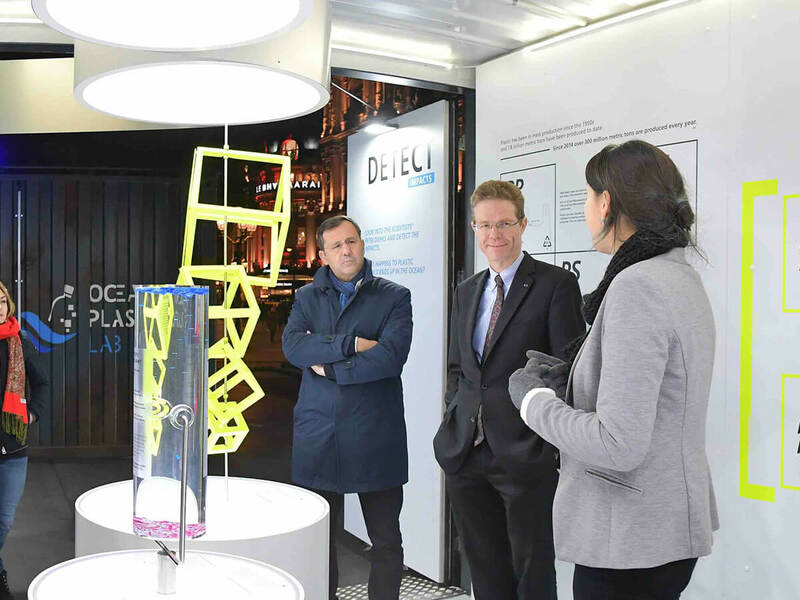 With about 8,900 visitors, the second tour stop of the OPL was very successful. 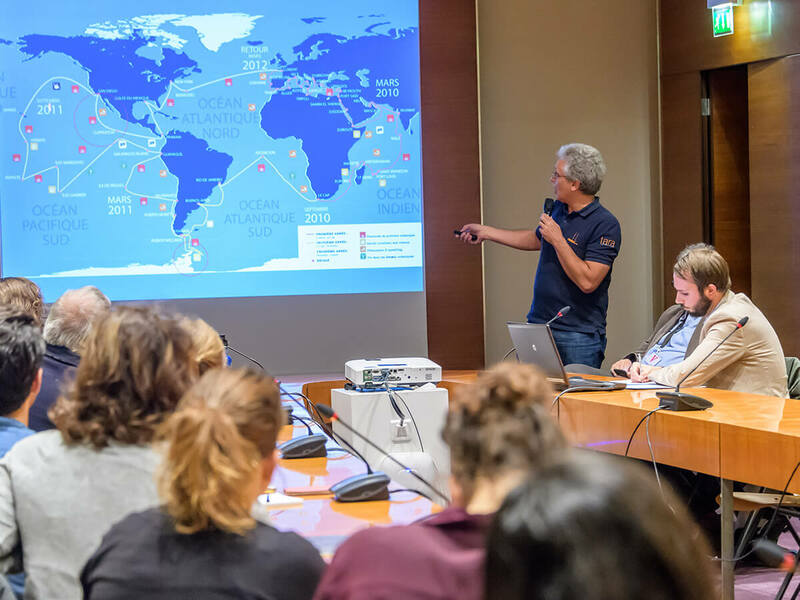 Not only did we have the pleasure of welcoming Nobel Peace Prize Laureat Prof. Yunus as well as the German Ambassador N. Meyer-Landrut – with the visit of 21 school groups we have been able to reach out and inform the future generation about the problem of plastic in the ocean and the importance of science to understand and solve this global problem. 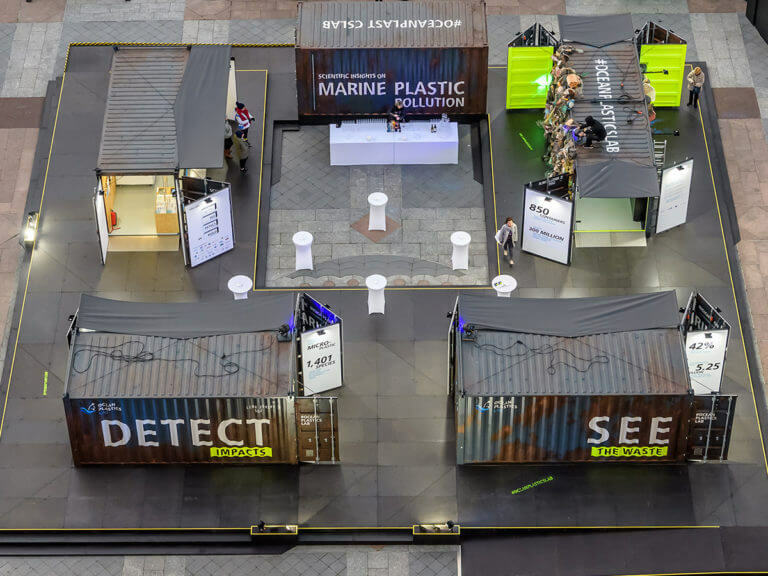 We also had the pleasure of meeting some contributors of the OPL’s exhibits, such as the artist Jeremy McKane, whose installation LUCiD is shown in container 1 and Peter Kohler from The Plastic Tide project, shown in container 4. 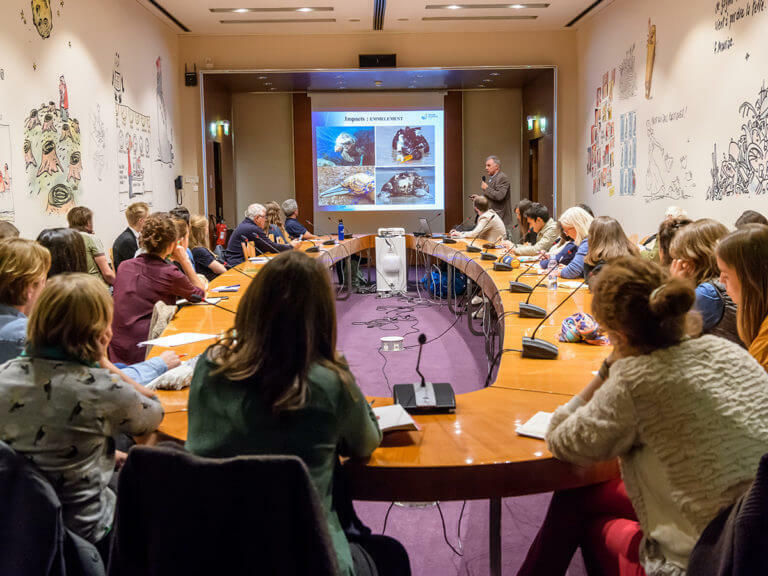 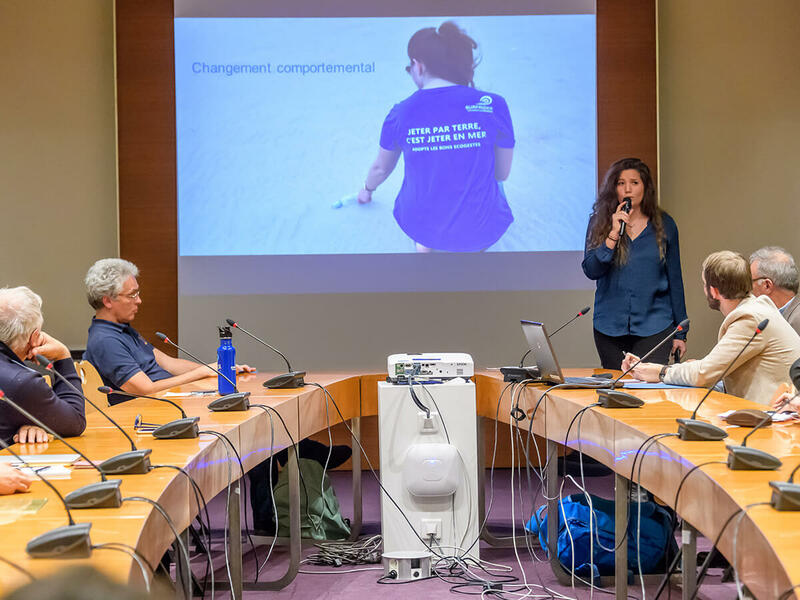 Additionally, together with French partners, we hosted a little conference for the wider public at the Hôtel de Ville with speakers Diane Beaumenay-Joannet from Surfrider Foundation Europe, François Galgani from Ifremer and Xavier Bougeard from Tara Expéditions.